A professional-strength dietary supplement that provides specialized nutritional support to meet the metabolic needs of the connective tissue and skin matrix. The combination of alpha lipoic acid, biotin, folic acid, vitamin C, and vitamin B12 along with the lubrication and hydration properties of hyaluronic acid makes Advanced Connective Tissue Formula Plus a powerful addition to an age-management program. Aloe/Reishi Skin Dew This special Aloe formulation maintains dry or cracked skin or skin damaged by acne, pimples, rashes, etc. and is a must for those with easily damaged or sensitive skin. 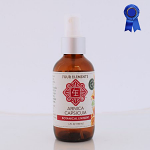 Argan Oil Revitalizing Serum combines raw organic cosmetic-grade argan oil with Rose geranium and Frankincense essential oils. This versatile serum works well with all skin types and is designed for daily upkeep. Improvement may be seen from the very start of use. This astringent rub is perfect for the medicine cabinet or the gym bag. A skin beautifier sold all over Southeast Asia! Skin Bleaching Cream. 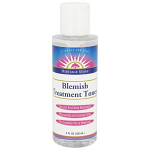 For the gradual fading of dark spots in the skin such as freckles. Blended with the finest medicines and pearl powder, through modern scientific process. It has an incredible effectiveness for beautifying your face, especially for removing the freckles, pimples, blotches, sunburn and wrinkles. Bee & Flower Soaps are renowned for their pleasing fragrances. Let your inner beauty shine with noble neroli and rejuvenating calendula. For mature and sensitive skin. Designed for mature and sensitive skin. Treat your chapped lips with Organic calendula. Known for its effective skin benefits, it complements the sunny citrus flavor. Calendula all vegetable natural bath & facial soap that is hand made. This soap is totally unscented. All the natural vegetable glycerin is retained in this bar and it produces a thick, creamy non-drying lather. A great blend for a man or woodsy woman. A nutrient and amino acid-rich dietary supplement of premium type II collagen from sternal chicken cartilage and fortified with hyaluronic acid, vitamin C, pomegranate seed extract and manganese. These pure herbal extracts help to maintain translucence, whiteness and elasticity, moisturizing the skin to make it silky smooth. Collagen Peptide Facial Mask Serum for use without the cloth mask. Infused with pure herbal extracts for concentrated delivery. 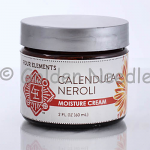 Helps to maintain translucence, whiteness and elasticity, moisturizing the skin to make it silky smooth. 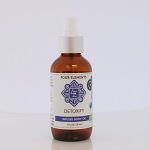 A natural source of 19 concentrated amino acids including glycine, proline, alanine and hydroxyproline to support the natural mechanisms of the body that promote and maintain connective tissue, skin, hair and nail health. This soap is great to use for washing your face prior to applying either Colloidal Copper Skin Toner or Colloidal Copper Facial Creme. Deeply infused with aromatic and potent organic botanicals, this rich body oil may be used for massage, skin moisturizing, or in the bath. Wild violets, burdock root, figwort and poke root are combined with chamomile, orris root and orange essential oils to create a cooling clarifying soap. Diaper rash, genital and groin eczema, female and male yeast infections, and other red, hot rashes of various sorts. For sensitive, overexposed or mature skin. no added chemicals or fragrances, and is made with all natural ingredients. Unit Size: 1 oz. roller ball bottle. 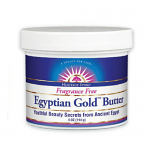 Golden Crown products are designed for the wise woman with mature skin. Biodegradable and perfect for air travel and camping. Traditionally used in India for its adaptogen qualities, we appreciate holy basil for its centering, balancing and grounding effects. 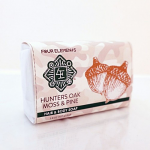 Designed to camouflage scent and blend in with nature. This is a carbohydrate occurring naturally throughout the body its function being to bind water and to lubricate. Isogen Forte Cream, 2 oz. Herbal moisturizer containing soy isoflavones, calendula, wild yam and St. Johns wort extracts. This extra-strength blemish control gel is formulated with Jade Powder, Burdock Root and an exclusive blend of active herbal ingredients to treat blemishes and troubled areas, leaving skin clear and smooth for a radiant complexion. The ritual of using finely ground herbal granules to exfoliate dull surface skin cells in order to reveal new, healthy dermal layers has been used in Asia for hundreds of years. This purifying toner is formulated with Jade Powder and active herbal ingredients, including Burdock Root, Licorice Root and Goji Berry to harmonize the skin and bring back its natural tone. Counteract the effects of time and diminish signs of aging and fatigue around the eyes. This intensive anti-aging formula is infused with the powerful properties of East Asian herbs, antioxidants and nutrients to dramatically increase cell renewal and support collagen fibers. This quick penetrating formula utilizes the detoxifying properties of Jade combined with the invigorating powers of Ginseng and Caffeine to smooth, slim and tone the body while dramatically reducing the appearance of cellulite. 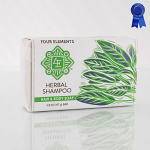 This luxurious herbal cleanser formulated with Jade Powder, Ginseng and only the finest active herbal ingredients nourishes, moisturizes and revitalizes the skin during the cleansing process. This superior formula energizes, hydrates and protects dry, overworked feet. This smoothing hand and foot scrub utilizes the powerful properties of Jade Powder, Ginseng, Kaolin clay and Bentonite clay to eliminate dead skin cells, alleviate tension, and repair hands and feet. This light, quick penetrating anti-aging formula dramatically firms the skin, repairs damaged skin cells and provides deep hydration into the dermal layers. This powerful rejuvenating and age-defying formula is enriched with Jade Powder, Ginseng and Green Tea Extract, which are known to stimulate cell regeneration and maintain skins natural pH. This luxurious, concentrated formula spreads effortlessly and provides great friction and grip for controlled strokes, while offering the glide of an oil to give superior performance in all massage and bodywork treatments. This exclusive healing and soothing lotion is formulated with Jade Powder and the unique properties of Ginseng and Angelica Root to strengthen, protect and rejuvenate the skin, while enhancing the immune function of dermal cells. 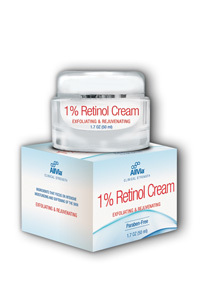 This powerful age-defying, anti-wrinkle serum works miracles to hydrate, protect and firm the skin. The anti-aging and anti-oxidant properties of Ginseng, Green Tea Extract and White Peony are combined with the purifying actions of Jade Powder to synergistically repair, strengthen, rejuvenate and nourish the skin by stimulating cellular regeneration. This luxurious, detoxifying and anti-aging cream mask removes impurities while re-hydrating and plumping tired skin cells. Formulated with Jade Powder, Ginseng and only the finest active herbal ingredients this detoxifying and anti-aging facial exfoliator gently sweeps away dead skin cells and impurities that can dull the surface of the skin while protecting against environmental toxins.